Bergen Catholic wins rivalry game with Don Bosco Prep: Greg Mattura of The Record was at the most hyped game of the weekend, as Bergen Catholic defeated the Ironmen, 14-13. Defensive back Pierson Tobia got the game-sealing pick with 1:21 to play to ice yet another close game between the non-public powers. Woodrow Wilson QB sets state record in win: Tigers QB Nick Kargman continues to amazing things, this time setting a state record in their 59-37 win over Cedar Creek. As chronicled by Kevin Minnick of NJ Advance Media, the Tigers amazingly trailed 17-13 at the half before a crazy second half culminated in Kargman’s 539-yard day. Rumson takes down Brick Memorial: In front of Matt Conklin of Asbury Park Press, Rumson-Fair Haven rode running back Alex Maldjian’s 167 yards and three touchdowns to a 28-14 victory over a solid Brick Memorial squad. It was a third-straight quality victory for the Bulldogs, who play four of their next five games against opponents currently with winning records. Phillipsburg upset by Union: Brad Wilson of LehighValleyLive.com covered this one, with the Farmers pulling out a 34-24 win despite falling behind with 1:15 on the clock. A one-yard TD run by Union QB Andrew Sandborn and a 56-yard pick-six by SS Jacqu’e Cook were the difference. Ocean City undefeated after three games: David Weinberg of the Press of Atlantic City was on hand for Ocean City’s 9-0 win over Absegami. The win was made possible by kicker Henry Souto, who hit a 24-yard third quarter field goal, and QB Ian Aungst, who ran in a two-yard TD in the fourth. The triumph pushes the Raiders to 3-0. Williamstown 4-0, Lenape 1-3 after defensive slugfest: The Braves defense was in midseason form Friday night, keeping Lenape from reaching the red zone and pushing Williamstown to a 12-3 victory. As told by Sean Fallon of the Courier Post, the win brings Williamstown to 4-0 while Lenape saw its playoff hopes take a big hit. West Milford orchestrates huge comeback over Lakeland: The Highlanders trailed, 20-0, but, as noted by Greg Tartaglia of The Record, QB/DE Zack Milko was everywhere in rallying West Milford. Milko threw for two touchdowns, rushed for a third and snagged a pick-six as West Milford pulled out a 33-32 win. Holy Spirit wins third straight after loss in opener: Quarterback Ryan Yost led the way for the Spartans, throwing four touchdowns in the 28-3 victory over Hammonton. Michael McGarry of the Press of Atlantic City saw the whole thing, including the broken play that resulted in Yost’s first scoring strike—a 70-yarder. 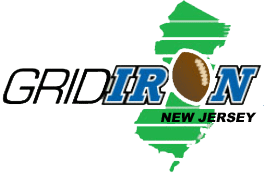 Tom Szieber can be reached by emaling tom@gridironnewjersey.com.